With A23 featuring Face Unlock, A44 Power with big battery and A44 Air with an AI Dual Camera. , itel has rolled out a full-fledged and integrated marketing campaign to foster engagements across all the media platforms. itel launches its latest campaign – ‘Ab Har Haath Mein Jaadu’ for its discerning customers as it completes 3 successful years in India. “Har Haath Mein Jaadu resonates with our core belief of providing the latest mobile features at the best prices further making customers’ experience magical while using itel smartphones. The new brand campaign compliments itel’s latest range of portfolio which are bringing newness and affordability together to make sure that our customers have a magical experience with each offering,” Mr Patnaik added. 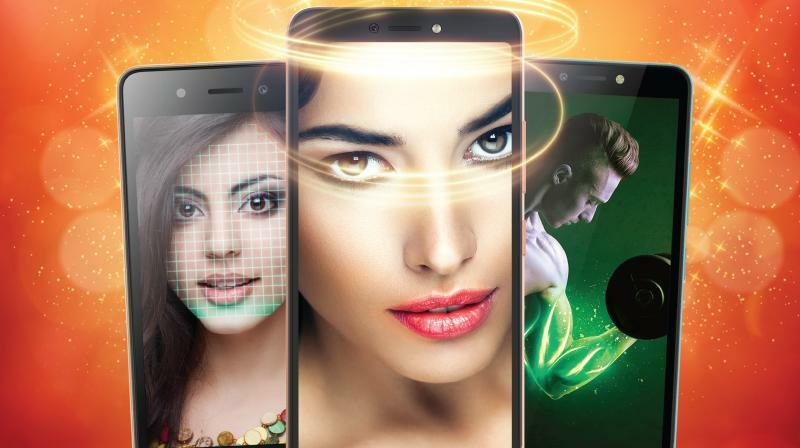 itel A44 Air, the latest product offering, is a segment-first AI Dual Camera with a full-screen display and face unlock at an incredibly affordable price. In 2019, itel’s smartphone portfolio will be primarily driven by AI and hence empowers the consumers with the magic of technology while making them feel confident and liberated. itel has always been democratising technology for masses. Its robust footprint via mass-market distribution, customer-centric approach, and innovative product portfolio have together made itel one of the most reliable & value-driven brand for 4cr + customers. As the entry-level brand of TRANSSION Holdings, itel aims to continue the same strategy by empowering consumers with the magic of premium features at budget-friendly prices. For this new campaign, itel has rolled out a full-fledged and integrated marketing campaign to foster engagements across all the media platforms. From a special retail visibility drive to on-ground activations across all its markets, the campaign will be supported extensively with a tactical TV campaign to drive awareness followed by radio amplification to create consumer engagements. To further drive meaningful local connections with consumers during the festival, itel also participated in Pongal and Kumbh Mela, making its presence impactful across markets. Way forward, it is geared up to participate in key festivals across its top markets and connect directly with customers. Along with the campaign and new brand philosophy, get ready to experience itel’s latest product portfolio – itel A23 with face unlock and bright display at Rs 4299, itel A44 Power with full-screen display and 4000 mAh battery at Rs 4,999 and itel A44 Air with full screen and AI dual camera at Rs 4,599. These are well aligned with the current needs and demand of customers, promising a delightful smartphone experience for them thereby, truly democratizing technology for masses.